Make sure they last longer and burn brighter. Candles are made to last hours, providing you with fragrant bliss. They're also an excellent go-to gift for brides, bridesmaids, and more as one can never truly have enough of them. Candles also make for an excellent addition to your wedding ceremony or reception décor. In order to keep them in safe condition while looking their best, burning evenly, and maintaining their fragrance, you need to care for them properly. When burning a candle for the first time, make sure you have at least four hours to spare. This is the most important time of the candle’s life. If not burnt correctly on its first burn, it may never burn to its full potential. You need to achieve a full melt pool: this is when the wax has melted and covers the full diameter of the container it is held in. If a full melt pool is not achieved, this will result in tunnelling, which is when only a small distance around the wick melts, leaving un-melted wax around the edges. A full melt pool is achieved between one and four hours, depending on the candle’s diameter. 1. Always keep the wick trimmed after each burn, as this will reduce any sooting. Invest in a wick trimmer for this, as it will prevent the trimmings from falling into the wax, which is unsightly. 2. Avoid burning for more than four hours so the wax isn’t discolored or destroyed. Allow to cool a couple of hours before re-lighting. 3. Candles are better placed out of drafts to ensure the flame stays steady and that wax does not collect on the sides of the glass. 4. Store candles in a cool, dark place when not using for a period of time and avoid extreme cold temperatures as this may crack the wax or become separated from the container. Staying out of direct sunlight helps to keep the candles from losing their frangrance due to evaporation or becoming discolored. 5. 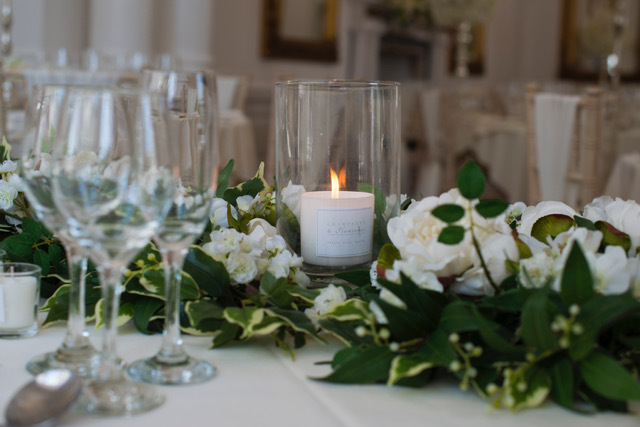 For safety reasons, always place a lit candle on a heat-proof surface and never re-light once the wax reaches a half inch from the bottom of the container, as the glass will become too hot. Don't forget to enjoy your candles, and a little bit of care and science goes a long way! For more tips, learn how to use fragrances to beat the winter blues or create a perfect proposal.